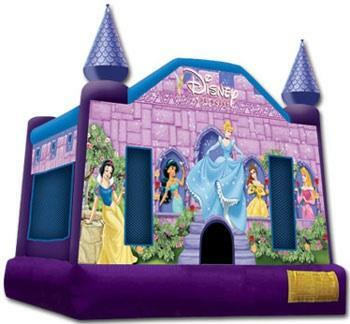 13 x 13 Disney Princess bounce house is fully digital printed for a super nice look. 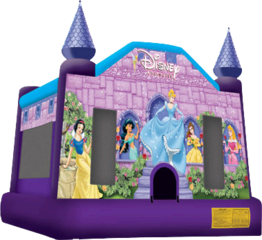 Beatiful front graphics greet your little princess as they enter at the front safety step for a party to remember. This bouncer is a fully licensed product, not an imitation. As always we deliver on time and provide a clean inflatable everytime to Lakeland, Winter Haven, Auburndale and all other Polk County Florida locations.